My name is Katie (aka LoquaciousLiterature) and this is my Patreon Page! Welcome! 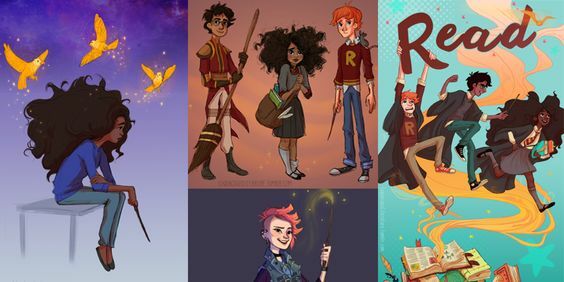 I'm an avid Harry Potter fanartist and a big reader! I decided one random day in 2016, that I wanted to draw scenes from the Harry Potter books that had been changed or forgotten by the films. Then I started uploading them to my tumblr page! Starting a Patreon page has been a goal of mine for a long time, and now that I finally have the time to do it, I'm so grateful and excited to share my new creations with you! What is Patreon may I ask? Patreon is a nifty site for artists like myself to create cool new art for our patrons! You can receive lots of cool rewards and goodies in exchange for helping us pay our bills! Pretty amazing stuff! What kind of rewards do you have? If you have any questions at all feel free to shoot me an email at [email protected]! -You have illuminated my life with your kindness! Thank you!! -Access to Patron-only feed and Early Access to my art before it’s anywhere on the internet! 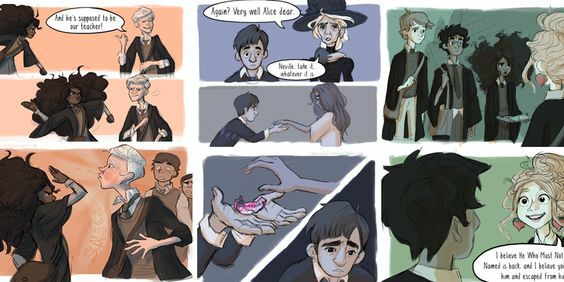 -Vote on which Harry Potter comic I make next!! Polls release at the beginning of each month! -You have unlocked all the love in my heart! Thank you!! -Access to Tutorials, Photoshop files and occasional patrons-only Livestreams! -I feel like I’m floating on air! Thank you!! -Monthly Postcard Print and Letter from me, delivered via muggle post right to your doorstep!